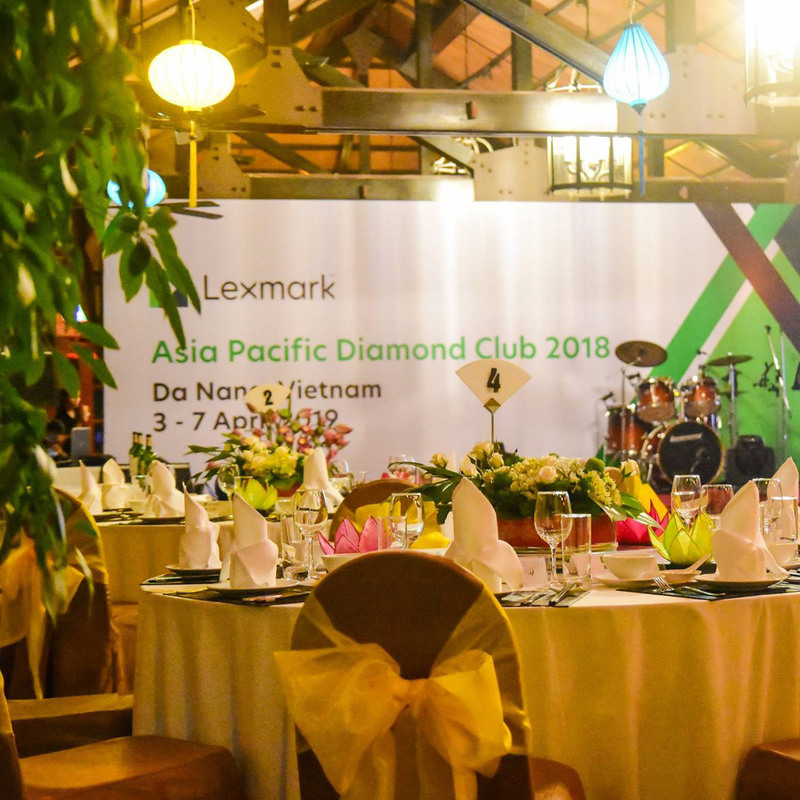 More than 30 members from Lexmark company gathered to attend a gorgeous Gala Dinner on April 05th 2019. 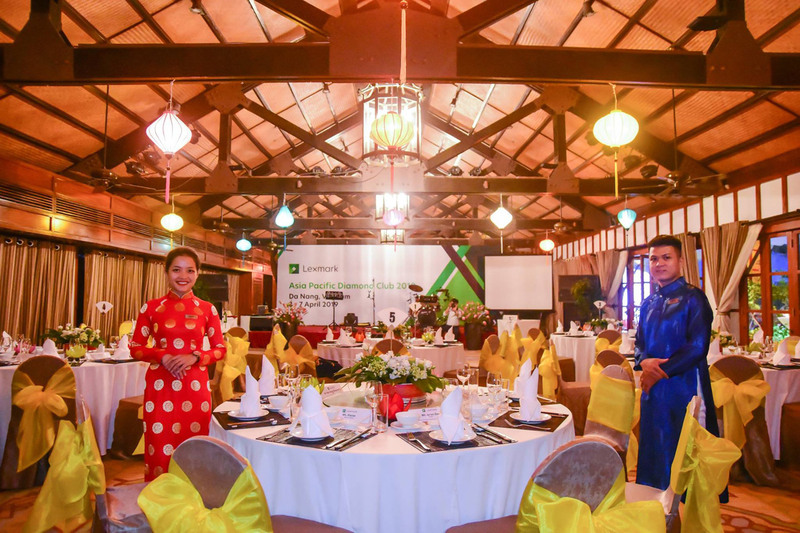 The feast was organised at the Ocean Ballroom, Furama Resort Danang where guests were treated to delectable dishes from the sumptuous Vietnamese Set Dinner. Founded in 1991, Lexmark International, Inc. is a privately held American company that manufactures laser printers and imaging products. Since 2016 it has been jointly owned by a consortium of three Chinese companies: Apex Technology, PAG Asia Capital, and Legend Capital. 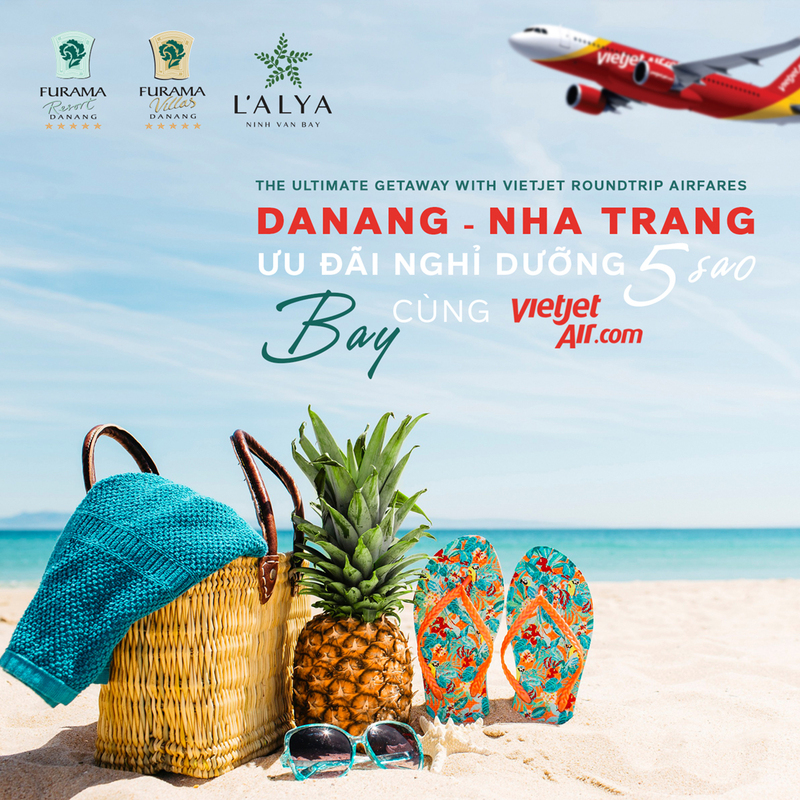 Discover the ultimate getaway with Vietjet roundtrip airfares while staying at Furama Resort Danang or L’Alya Ninh Van Bay, Nha Trang a 3 day 2 night stay package. Daily international buffet breakfast is included with many other recreational activities. Escape from home to enjoy a 2 night stay at the culinary beach resort Furama Danang at only VND 2,377,500 net person per night for a stay at the Garden view room with complimentary roundtrip airport transfer in Danang and 10% off on the daily unique seafood market buffet dinner, excursion and spa as well as the many water sport activities available. Staying at the L’Alya Ninh Van Bay, Nha Trang for only from VND 4,990,000 net or VND 5,550,000 net per person per night at the massive Hill Rock Pool Villa, complimentary roundtrip airport transfer from Cam Ranh international airport plus daily complimentary Vietnamese set menu for lunch and dinner for two, two ways boat transfer upon check-in and check-out, daily breakfast, 24 hours butler service, daily scheduled shuttle boat and car transfer to Nha Trang city and return, sport activities: kayaking, fishing and walking trails,.. with complimentary daily afternoon tea in villa included. The promotion is applicable to Vietnamese and Expatriates living in Vietnam, valid until 25th December 2019. Surcharge: May 04th, 2019 – September 02nd, 2019. Blackout date: April 11th, 2018 – April 16th, 2019; April 25th, 2019 – May 03rd, 2019 and August 29th, 2019 – September 03rd, 2019. Limited rooms and villas only. Famous monthly magazine “Marie Claire” has just revealed its April issue, showcasing the latest fashion photo collection of leading Korean actor Lee Sun Kyun, which was conducted at Furama Danang from March 3rd -7th 2019. During his stay in Danang, he has chosen the beachfront Diamond villa of the fabulous Furama Villas Danang where he has conducted the photo shooting for a famous magazine and resided here thanks to its pure atmosphere and romantic landscape and enjoyed a scrumptious Seafood Market Dinner Buffet at the renowned Café Indochine restaurant. Lee Sun Kyun, born 1975, began his career in musical theatre. Coffee Prince TV series (2007), along with medical drama White Tower (2007) which brought Lee to mainstream popularity and which was then followed with Pasta (2010) and Miss Korea (2013). Meanwhile, on the big screen, he received a Best Actor award from the Las Palmas de Gran Canaria International Film Festival for his role in Paju (2009), followed by critical acclaim in the mystery thriller Helpless (2012), romantic comedy All About My Wife (2012), and crime/black comedy A Hard Day (2014). Previously, another famous Korean actor Song Seung Heon has also chosen Furama Resort Danang for his photo shooting for the Korean magazine “1st Look”. 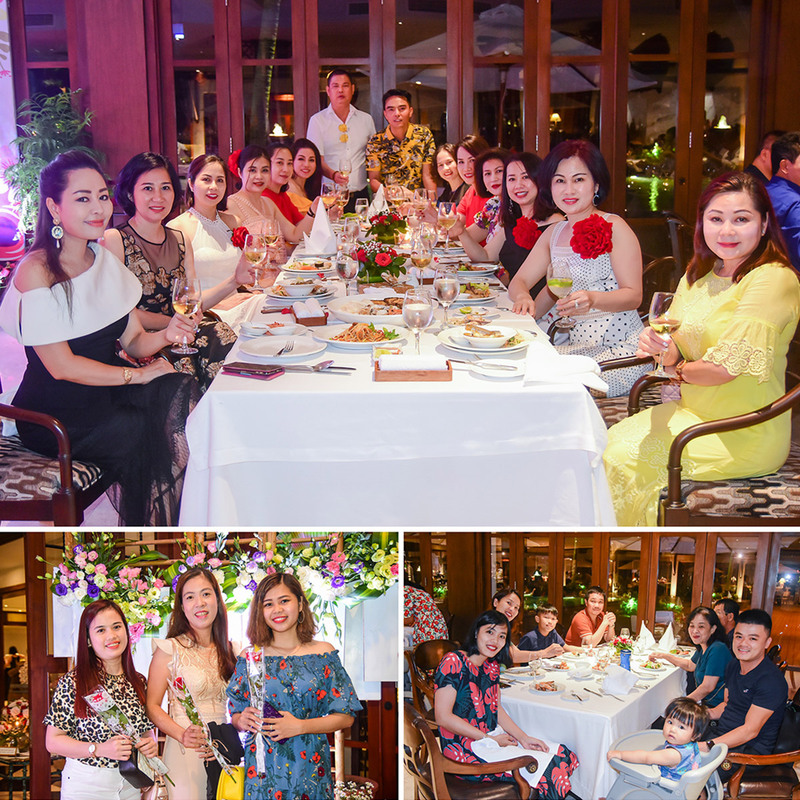 To show its care for ladies, Furama Resort Danang celebrated the International Women’ Day with a scrumptious Seafood Dinner Buffet promotion from March 8th through March 10th 2019. Our beloved guests had an opportunity to eat to their hearts’ content with our wide range of “cooked to your taste” seafood dishes featuring half a lobster, unlimited oysters, prawns, squids, clams and octopus, etc… In addition, gourmets did indulge in various kinds of delicious and healthy ham and imported cheeses, such as “Brie au poivre”, “Gorgonzola”, and many more….. Moreover, gourmets also tucked into a wide range of Asian favorites such as sushi, sashimi; regional specialties such as Danang specialties and decadent desserts including cheese cakes, macarons, tarts and delicious homemade ice creams from the dessert bar. For more information on exciting F&B programs, please contact our F&B hotline (+84) 236 651 9999 or send your email to fb@furamavietnam.com. Furama Resort Danang recently had the privilege of hosting the leading Korean actor Lee Sun Kyun over his holiday and photo shooting trip from March 3rd – 7th 2019 in the central city of Danang, Vietnam. During his stay in Danang, he has chosen the beachfront Diamond villa of the fabulous Furama Villas Danang where he has conducted the photo shooting for a famous magazine and resided here due to its pure atmosphere and romantic landscape and enjoyed a scrumptious Seafood Market Dinner Buffet at the renowned Café Indochine restaurant. Lee Sun Kyun, born 1975, began his career in musical theatre. Coffee Prince TV series (2007), along with medical drama White Tower (2007) brought Lee mainstream popularity, which he followed with Pasta (2010) and Golden Time (2012). Meanwhile, on the big screen, he received a Best Actor award from the Las Palmas de Gran Canaria International Film Festival for his role in Paju (2009), followed by critical acclaim for mystery thriller Helpless (2012), romantic comedy All About My Wife (2012), and crime/black comedy A Hard Day (2014). Previously, famous Korean actor Song Seung Heon has also chosen Furama Resort Danang for his photo shooting for the Korean magazine “1st Look”. Stay tuned for the stunning photo collection which will be revealed soon! 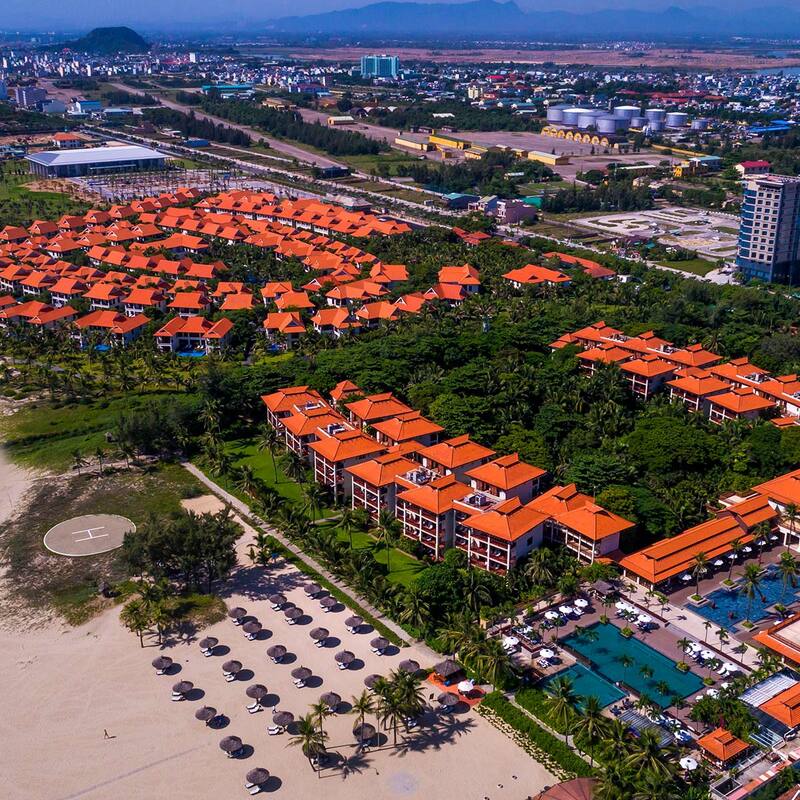 *VND 2,500,000 while staying at the fabulous Furama Resort Danang with the prices from VND 5,000,000/room/night to redeem for food and beverage at our 8 restaurants and bars. *VND 5,900,000 will be redeemed for Food and Beverage at Furama Danang’s restaurants and bars while staying at our private-pool Furama Villas, pricing from VND 11,800,000/villa/night. Valid from now on until May 31st 2019. Booking period: from now on until April 20th 2019. Surcharge during public holiday from April 28th – May 3rd 2019. Apply for Vietnamese citizens, overseas Vietnamese and expatriates working in Vietnam (with VISA validity more than 3 months). The above rate is for maximum 2 persons per bedroom. Maximum additional 1 adult or 2 children per bedroom will be charged (VND 1,150,000/adult/night). Complimentary welcome drink and daily fruit plate. Complimentary use of Sauna, Steam bath, Fitness Center, Games Room, Kid Club, Swimming Pools and Free Taichi class in the morning. 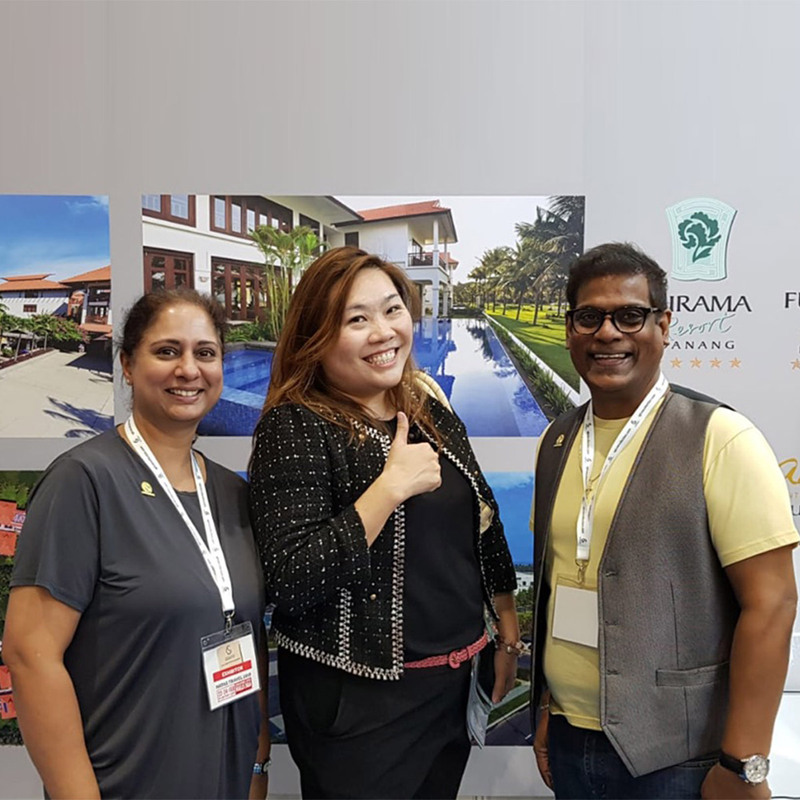 Representatives from the Furama Resort Danang have participated in the NATAS Travel Fair 2019, taking place from February 22nd-24th 2019 at Singapore Expo. The Singapore’s largest B2C travel fair – NATAS Travel Fair is held annually by the National Association of Travel Agents Singapore (NATAS). With more than 80 exhibition booths, NATAS Travel Fair 2019 is an opportunity for more than 100 international travel agents, hotels and resorts to promote their services and products. In 2018, the NATAS Travel Fair attracted more than 100,000 visitors with the participation of 100 international hospitality enterprises. Experience your summer holiday at only from VND 4,080,000 net/night for two persons. Ignore the hustle and bustle, enjoy life with incredible beach front facilities, a great variety of food choices and stunning green oasis at the culinary beach resort Furama Danang. 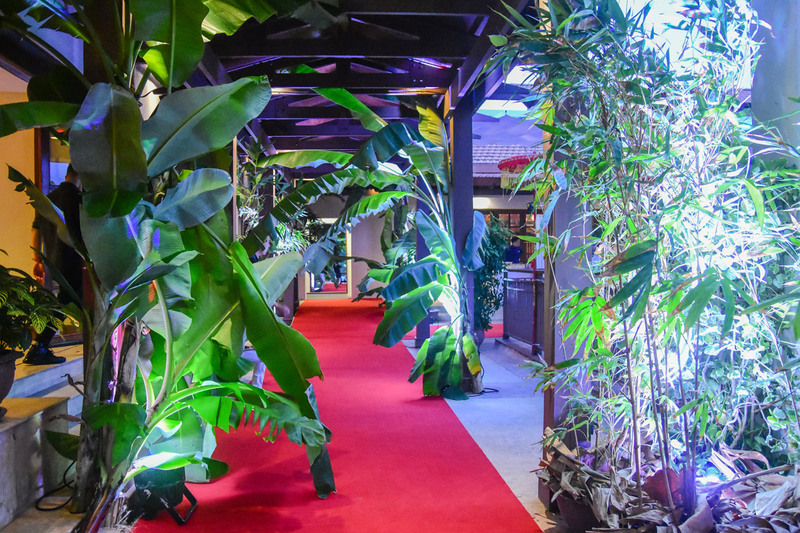 The promotion includes: daily international buffet breakfast, complimentary swimming training program for children and many other recreational activities with a discount of 10% on dinner buffet, water sport activities, spa services and tours. Complimentary usage of Fitness Center, Swimming Pools, Games Rooms, Kid Club, Sauna and Steam Bath. Discounted price for 2,3,4-bedroom private pool Villas: from VND 10,800,000 net/villa/night. Complimentary round trip airport transfer in Danang is offered if you stay two nights; a food and beverage credit of VND 300,000 per adult per day for stay of minimum three nights (not on departure day) to enjoy various dining options including the premium Seafood Market Dinner Buffet at the Café Indochine restaurant; Wagyu and Kobe beef at the beach front Steakhouse “The Fan” which also offer a free entrance to the Cham Dance and Vietnamese art performance every Tuesday, Thursday and Saturday on the beach. The promotion is applicable to Vietnamese and Expatriates living in Vietnam, booking until 15th April, staying period until December 31st 2019 with some terms and conditions. 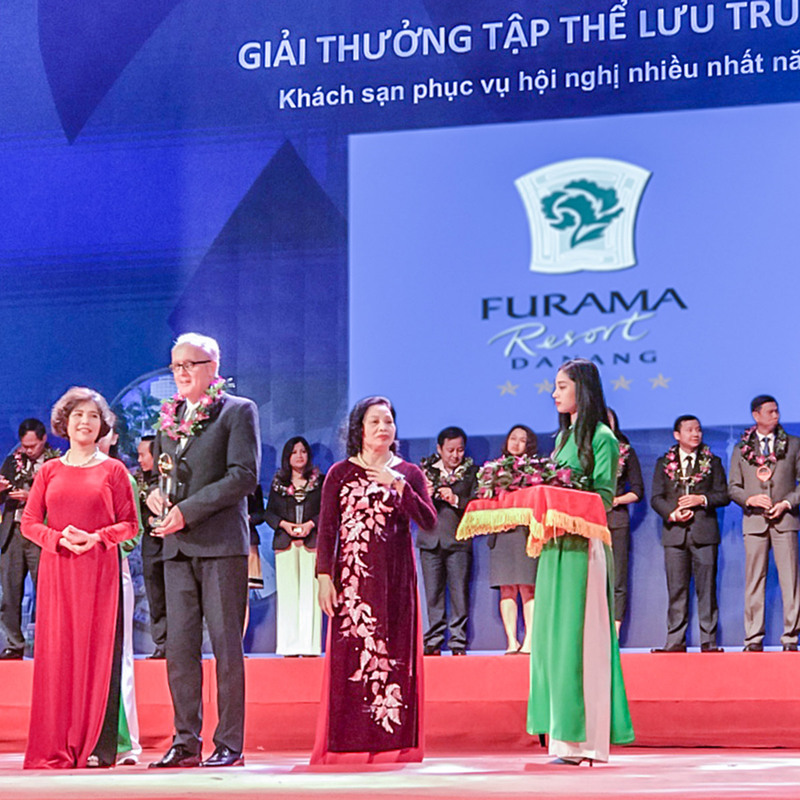 Furama Villas Danang has become the only villa project in Vietnam to win “Luxury Beachfront Villa” at the recent prestigious World Luxury Hotel Awards. Furama Villas Danang is part of the Ariyana Tourism Complex, including the 198-room Furama Resort, Furama Villas, the upcoming 1,000-room Ariyana Beach Resort & Suites project, and the high-profile Ariyana Convention Center, where APEC 2017 was held. The 131 luxury villas with views of the pristine white sand beach share architectural similarities with Furama Resort, and connect to the resort to form a tropical peaceful haven within the city center. This year, Furama Resort Danang has also won “Most Favored Hotel” at the JALPAK Award 2017 by JALPAK Japan, “Golden Dragon Award” and “The Guide Awards” by Vietnam Economic Times and the Ministry of Planning and Investment. 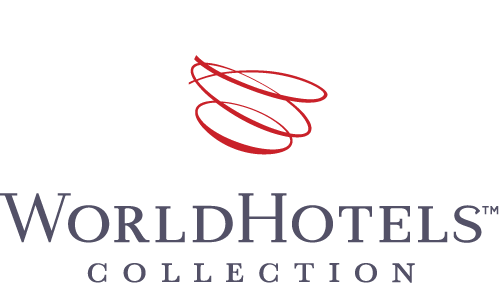 Since 2006, the annual World Luxury Hotel Awards has served as the global recognition of the hotels’ sustained commitment to service excellence and outstanding achievement in the international luxury hospitality industry, receiving over 300,000 votes from international travelers and leading tourism experts in their annual poll.